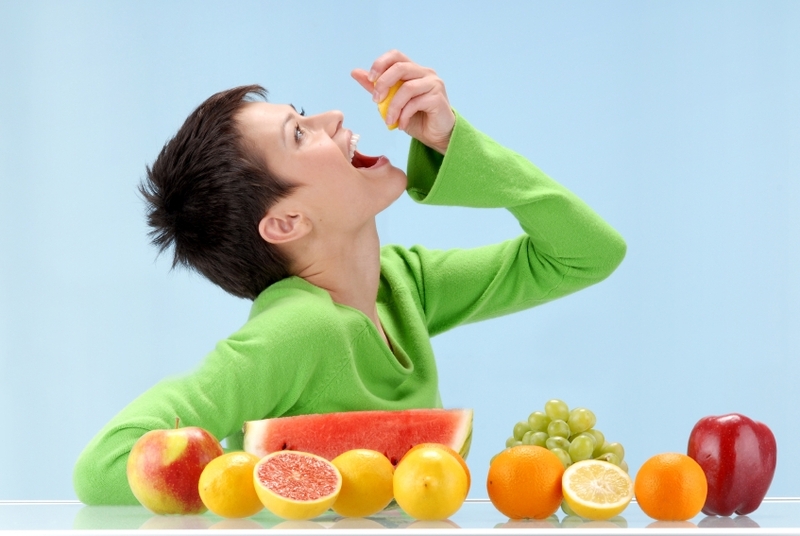 1) Slice and Freeze – This is one of the easiest ways to eat fruits especially when it comes to snacking. All that you have to do is slice an entire lot to last the whole day and stock up in the refrigerator. When it comes to fruits that can get easily oxidized like apples, you can squeeze a little lemon to the slices and then store. An extremely nutritious, healthy and ready to eat fruit option, this passes off as the best substitute for refined sugary snacks. 2) Dry and store – Dehydrated fruits are practically little miracles in a jar. You can either buy these ready from the market or, you can prepare them in your very kitchen using fruit dehydrators. Certain fruits like apples, thin slices of oranges and lemons, tomatoes etc can be dehydrated in the oven as well. What you will have to watch out for is the sugar content which could be slightly higher than the real fresh fruit. So, controlling the quantity of intake will become essential. 3) Pureed – Pureed fruits can be located in any ordinary store in pouches and cans of various quantities. These options are ready to eat especially in squeeze packs and are easy enough to be carried around in your shoulder / hand bags. However, you will have to show some caution while choosing your pureed fruit options. More often than not, there is very little that you can do to ward off added sugar. Nevertheless, if you look carefully, you can land with perfectly healthy brands offering 100% fruit with no added preservatives, corn syrup etc. 4) Leathered – Besides the squeezed options, fruits can also be it their very best in their chewy form. Here, the fruits are dehydrated and sugared to give them a tough leathery texture that can be chewed for experiencing a heavenly delight. These options are considered better in the sense that they satisfy all urges of snacking on sweet stuff while offering essential nutrients to the body. At the same time, they stay longer in the mouth which is a great way to control portions. 5) Full and Whole – This is the easiest and the most nutritious way of eating fruit which makes you full and there is no two way about it. Biting into a whole fruit gives you the benefit of the antioxidants in the skin of it, the roughage in its natural form as well as complete and unadulterated nutrient content. Choosing organically grown fruits, which may sport a higher price and a little less attractive packaging, are always better options compared to those grown through artificial processes.